Guest Designer Spotlight! Trina aka Scrappy! Our SBCH Guest Designer Spotlight for June is Trina Carbert! I have been a crafter all my life. I have dabbled in pencil sketching, writing, photography, cross stitch, crochet, rug hooking, stamping, card making, and many, many more crafts. My wedding album was the first album I ever created. I was instantly addicted. That was in the year 2000. Eight years later I have a husband, a child, a cat, a home in the country, terrific scrapping friends and many albums under my wing. And I have discovered that Scrapbooking is a medium that intertwines all my hobbies into one. 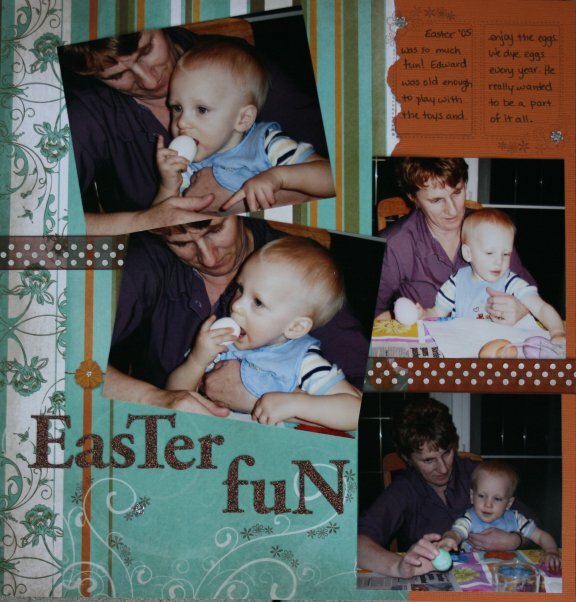 I love Scrapbooking for all it’s worth! I truly believe the main reason to scrapbook is to preserve memories for the future. That is the entire reason I began. I still hold true to that mantra, but I now create for pleasure just as much as preservation. 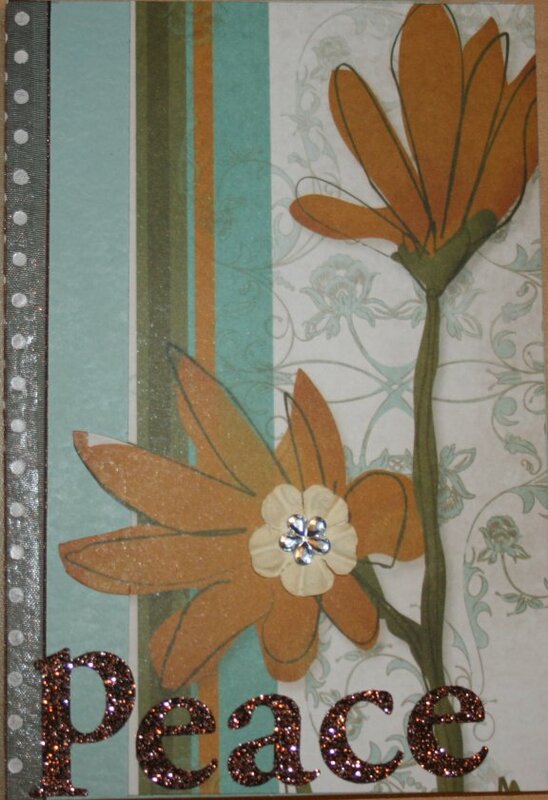 I thrill to work with papers, inks, stamps and embellishments. My favorite embellishments are metals and chipboard……… and ribbons……….. and buttons…….and bling……..oh, and flowers……yeah….ah em. I feel that nearly every layout requires inking in some form and paper tearing is a staple in my work. I consistently work with multiple photo layouts and am becoming known as the Multi photo Queen! My work tends to be more classy and linear than funky, but I appreciate all forms this hobby takes. 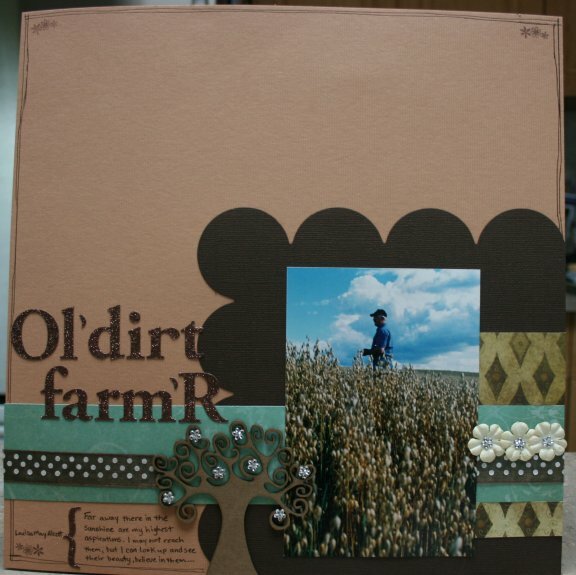 One of my favorite parts of Scrapbooking is getting to see what others have created. I worked with Scrapbookers Club House in 2006/2007 as a Design Team Member and I am very grateful and pleased to work with the Clubhouse this month as the Guest Design Team Member. These are my creations this month using the next awesome SBCH kit July 2008 that is coming your way! If you would like to see more of Trina’s awesome work..come and check out the Guest Designer Gallery! 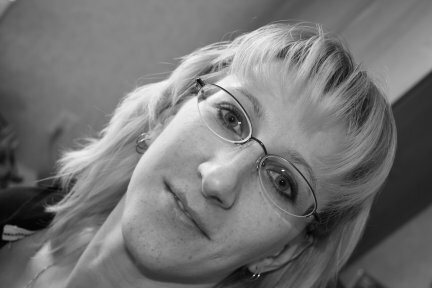 Trina, I loved reading and learning more about you- you also WRITE so well! Just another facet of the SB’ing and memory keeping. Thanks for your bio and all the great things you do for us! You rock! Thank you so much ladies! I love being a member of the Clubhouse and am really enjoying my time as Guest Design Team Member!